Athletic Director David Williams speaks at a press conference regarding the status of the search for the Men's Basketball head coach opening March 28, 2016. This is part two of our sit-down with Vice Chancellor David Williams. You can read part one here. 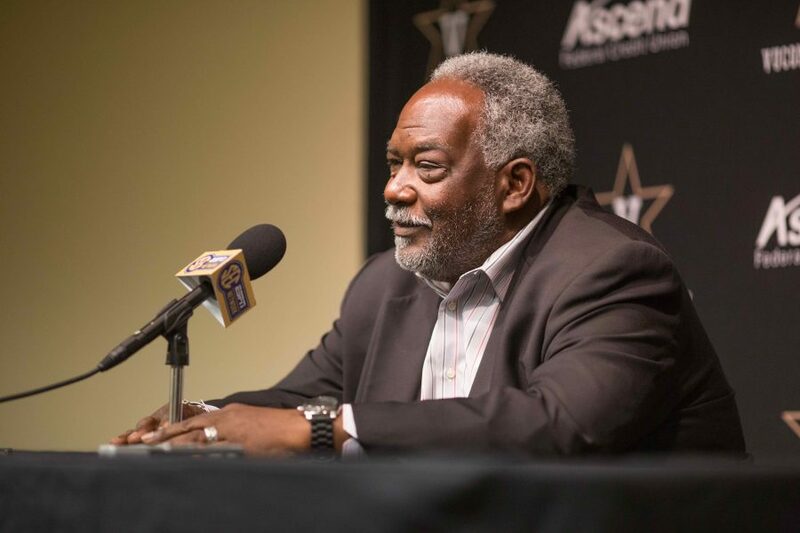 In this portion of the interview, Williams discusses the philosophy of Vanderbilt Athletics and his vision for the future. Cutler Klein: There is a general philosophy in college athletics that successful athletics can only benefit the rest of the university. There was a graduate professor at Miami, when they hosted College GameDay this year, that said they had more graduate applications on that Monday than they usually get in an entire month. Is that an attitude that you take to heart here that what you guys do helps out the entire university? David Williams: Yes. I would say, you’re already at a situation that some schools would say “Well, we won a national championship so undergrad recruitment up.” Our undergrad recruitment is at an all-time high anyways. I’m sure they’re saying please don’t add any more to it, it’s already hard as it can be to get into this place. Where you do see it is in a lot of other ways. I would say this concept that we’re the front porch of the university for a lot of people. A lot of people’s only relationship to this university is through athletics. Unlike many state schools, you can’t necessarily grow up in this state and this city and say “I’m going to go to old Vanderbilt.” It’s too hard to get into. I run across a lot of people who stop me in the grocery store or stop me anywhere and they’ll talk about our athletic teams who never went here, who never had any relative that went here. I do think it’s, in many cases, the face of the university. CK: When you’re taking stock of where you are in relation to the rest of college athletics, you play in the SEC where you have behemoth schools like Alabama, Auburn and Georgia. In terms of measuring up and measuring yourself, do you tend to compare yourself more to schools Northwestern or Stanford or Duke where the academic standards are around where Vanderbilt’s are rather than the rest of the SEC? DW: For us it’s a difficult thing because I think we have to do both of them. I think that it’s very important that in some circles, we’re talking about schools that are academically like us like the ones you mentioned and how they perform athletically and how they perform athletically. But at the end of the day, we’re the only one of those schools in this conference. If you go over to the ACC, Duke has Wake and they have Boston College and to a degree they have Miami in there. But we’re it. We’re it here. On any given Saturday, as we’d say in football, but on any given day, we’ve got to play them. So, the fact that it’s a state school, we’ve got 14 schools in this conference and 13 are state schools. With the exception of Mississippi and Alabama, it’s the only school in that state. So it’s the flagship to a degree. I guess Texas would argue about Texas A&M, but even in Alabama and Mississippi it’s Mississippi and Mississippi State, it’s Alabama and Auburn. Yeah, it’s sort of mind-boggling. I grew up in Detroit and we always learned that when you go out to play that if you want to be better you play the kids bigger than you. We’re not going to back down from them. That’s the conference we’re in and we love being in that conference. I hope people understand that we’re coming out to beat you and the fact that you got more students, the fact that you might have five stars, the fact that you got a bigger stadium, it doesn’t mean a thing to us. At the end of the day, we’re going to win the game. David Williams holds up the VU hand sign during Vanderbilt’s bowl announcement celebration on 12-2-12 in the SLC. CK: Vanderbilt as a whole has evolved so much in the last few years. You have a changing demographic of the student body, the school is building brand-new buildings and new dorms every year. Where do you think Athletics fits in the long-term vision of this university as it becomes bigger, more popular and a top-15 academic institution? DW: I think that we have one of those great opportunities. Some people might see it as ‘oh man that’s a challenge, you can’t do it.’ I think that the growth of the university in the direction it’s going, and it’s interesting because that growth is not in the number of students. It’s the same amount of students as when I came here 18 years ago. I think you’ll see the graduate school grow a little bit, but I think we’ll keep that. The growth comes in the prestige of the university. I always said that there’s a difference between elite and elitist. I think we’re an elite school, but we’re not going to be elitist. So the elite school will always have athletics. I do think the schools like us, Duke, Northwestern, Stanford, that’s a challenge. It’s how do you mimic, if you like, that academic piece of the Ivy but play in those five conferences that really play. I see it as a real opportunity to basically forge a way. I was in D.C. last week and someone asked me ‘Wouldn’t it be good if all of your schools, the Northwesterns, the Dukes, the Stanfords, started your own conference?’ And there was a time when I said yeah that would be pretty cool. No, I think what our trick is is we’ve got to make the rest of them realize ‘man, we’ve got to play them.’ And so I do think there’s a place for us to change that whole dynamic and take it back to where it began. This is the place where there’s really student-athletes. Really student-athletes. And that’s how the rest of you should be. CK: A lot of times when alumni talk to me they ask what the students are feeling about athletics. Are students going to come to the games? Are students excited about this? For the Alabama game, the student tickets sold out within 12 hours. 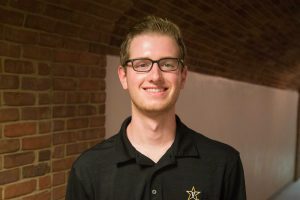 Going forward, as the student body evolves and changes and becomes a lot more diverse, what’s the key to keeping athletics as a part of the fabric of student life at Vanderbilt? CKL I think there’s three things. One, success is important. When you, as students here, have a lot of different things that they have to do, that they need to do, you’ve got to understand that the student body is not, there might be a small group of them, but that student body is not going to come if you’re not successful. And they shouldn’t. Two, I think we have to basically understand the concept of those demographics. And we need to be about a situation where, as we look to the future, we’re making sure that our sports line up with their interests. Three, I think is extremely important, that the student population see the young people that are playing the games as their partners in the classroom, in the dorms. They can’t be athletes they don’t know. I love it when you get that real, at the basketball games, for example, when Djery [Baptiste] goes in. The students love him. They love him, that’s our man. And that’s what you want. You want that identification and that’s what I remember from college. You knew all of the kids on the team. They were the people that lived down the hall from you, that were in the class. I think in college athletics, to some degree, we’ve moved away from that. They became something on the end of campus that had nothing to do with the rest of the students. I think that’s very important. They’ve got to be the person you want to go see, because that’s what college athletics, I want to go see my buddy play basketball. Athletic Director David Williams in his office April 8, 2016. CK: You’ve recently announced the new Center for Sports and Society here. Sports and social issues, political issues, have always been intertwined and it’s been under the microscope lately. What kind of role can Vanderbilt play, because of its history with Perry Wallace and Godfrey Dillard, in studying that relationship? DW: I think that the reason we’re trying to launch the center is because I think we see the opportunity to be a leader in that. I don’t think we would want to be involved in it just for something to do. I really do believe we can look at these issues, we can tell the story about them. We can try to see how, and this is the most interesting part about it. I think sometimes we fail to remember that sometimes you get into these things to see if there’s a solution. The docs that are running around and doing research, they’re not doing research on something just for the fun of it. They’re trying to find that cure to cancer. It’s the same sort of thing. We’re trying to find how that interacts. Does it make a difference? How can you avoid things, how can you address things? I’m really interested and I still teach. I teach in the Fall, at the law school, I teach Collegiate Athletics. And now the Spring, I teach Professional Athletics. In Wednesday’s class, we’re going to talk about something I really never talked about directly: what is the difference, and what makes one of them successful, or different than the other? The whole concept of structure of them is interesting. Is there something about the structure that lends itself to sort of protest or activism? Is it something about it that doesn’t? Is there something about what that protest is about? If you looked at the NFL this year and you saw some of the kneeling, it was thought to be ‘this is a group of people that say they’re kneeling for people who don’t have voices.’ But on the other hand, some protest is about what I don’t have. I’m protesting because I don’t have it. I think sometimes we’ve overlooked that. How did we get to that? I’m real excited about what a place like Vanderbilt can do because Vanderbilt, while it’s not the biggest school from the numbers, it has a little bit of everything. When you start to look at that, part of that is the sociology. What part of that do you need the historian? The lawyer? The business person? The Divinity School? I think all of those are good. One of the more interesting ones, yesterday for MLK day we went to Memphis and we toured the Civil Rights Museum and then we toured Stacks, the Music Museum. To listen to the interaction between what role music played in that. Me, I’m a Detroiter, old Motown guy, I realized that it was part of me. I never thought about it that way. We’ve got Blair. One of the more interesting things is the steel drum people over there. I think there’s a lot of things that we can get to, plus housing it in a campus in a major city is really important, because then you have the major sports. CK: You were named Tennessean of the Year by the Tennessee Tribune for 2017. You’ve been in this role since 2002. How proud are you of what you’ve been able to accomplish in that time and seeing how Vanderbilt Athletics has evolved from where it was when you took over to where it is now? DW: I appreciate that. I’m always a firm believer in any sort of honor or award you get. It’s really a function of what a lot of people did. I’m fortunate enough that someone basically wants to put me at the top of it. I’ve always tried to have a good balance, and of course when I go home no one seems to, I’m like the last person that’s the Tennessean of the Year [laughs]. I appreciate it and I’m glad, but make no mistake of it, I’m just one of many people, so I think that you really have to congratulate all of the people that work in here, all of the student-athletes that come in here and the university that gave us the opportunity. I’m just the one they point to, trust me.